Optimum Performance Centre is proud to give back to our community! 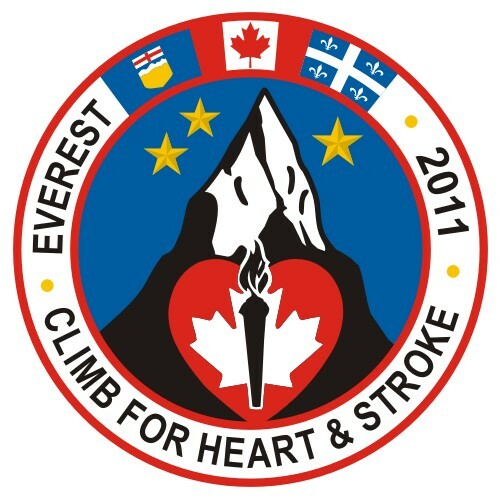 The Heart and Stroke Foundation is honoured to be the organization selected by Manuel A. Pizarro, Steve Barahona and Phil Bota to be a part of their ambitious project involving the ascent of Mount Everest. By doing so, the 3 climbers wish to honour the memory of Larry Bota, who died suddenly from a massive heart attack at the age of 50. They also want to support the Heart and Stroke Foundation and their quest in eliminating heart disease and stroke and reducing their impact through the advancement of research and its applications as well as the promotion of healthy living. Congratulations, Phil, for reaching the summit! "Dr. Thrush helped my performance and recovery as I trained... His expertise and treatments are a key factor in my ability to perform at my best." Read more of his testimonial here.